So let’s begin with what a carbohydrate is. It’s a nutrient in our food that converts most easily into sugar within the bloodstream and more than any other nutrient is the cause of raising out blood sugar levels the most. That’s why carbohydrates and diabetes go together. Diabetes comes from high blood sugar and carbohydrates provide the sugar. Every form of carbs get broken down and converted into sugar flowing through our bloodstream. Any carbs coming from sugary foods, pastas, breads, etc. will raise your blood sugar levels when the carbs are broken down into glucose. Well, that’s enough. You get the general idea. Complex carbohydrates: They slow down the rate of absorption and digestion because of content of higher fiber and slows down the rate of raising that blood sugar level. These are the ones you need. It’s no secret that we are what we eat. Some people care and some don’t. If you have diabetes and high blood sugar, then you should care about what you eat because high blood sugar is dangerous and in fact so is low blood sugar. They key here is to know what you can and should be eating and keep your blood sugar, blood pressure, and other health issues that lead to diabetes. The goal is to make the choice of the complex carbs and consume them at an even pace throughout the day to avoid having you sugar spike. You don’t want your sugar rising and especially at a fast pace. You’ll also be interested in knowing most carb calories end up as glucose. This results in having a much bigger impact on blood sugar levels than either protein or fat. As previously mentioned, keeping tabs on your diet and medications if you’re taking them and insulin as well. It’s important to know what carbs you’re eating because if you’re eating the simple carbs, that creates problems. If you’re taking insulin it can cause your blood sugar levels to rise. It’s VERY important have your blood sugar at the proper level. You don’t want hyperglycemia (high blood sugar) OR hypoglycemia (low blood sugar). Low blood sugar can be extremely dangerous. 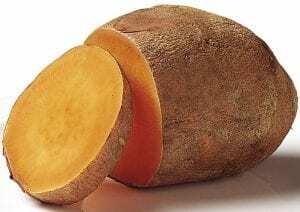 You need carbohydrates for your body but only the complex carbs, not the simple carbs. Designing a meal plan or having your doctor help is the way to go. 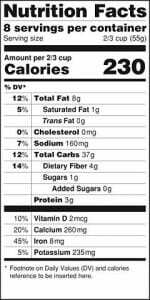 I got into the habit of checking labels and knowing what the nutritional facts are including: sugar, protein, calories, carbs, cholesterol, sodium, saturated fat, and trans fat. Everyone needs and should make fiber an important part of your daily intake. Fiber is responsible for slowing the absorption of sugar, keeping your digestive system in top working order and makes you feel fuller. A high fiber diet can aid in the prevention of excess body fat. If you’re eating more fiber, you’re probably going to have a lower body weight. I found by losing weight it has helped lower my blood sugar and reduced my type 2 diabetes. While fiber is a plant food that you can’t digest, it is very beneficial health wise for controlling your weight and reducing your risk of heart disease and high cholesterol levels. If you’re smart in choosing the complex carbohydrates, then it’s easier to control these levels. It works for weight loss and that helps your diabetes. 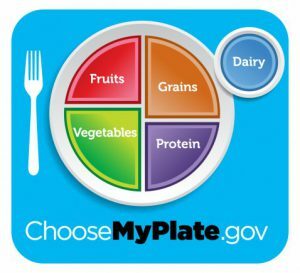 The Atkins diet is a low-carbohydrate diet for weight loss. The claim with Atkins is that fat and protein are unlimited and foods with high carbs are off limits. Atkins diet was at first considered to be unhealthy because of unsaturated fat. Studies currently dismiss that fact. It’s a low carb diet that helps you lose weight by eating more protein and lowering your carbohydrate intake and therefore reducing your appetite. Ketogenic is similar to Atkins as it is a high fat low carb diet too. Fat replaces the very strict reducing of carb intake. Carbs are reduced and puts your body into ketosis. This is a normal metabolic process. Your body burns stored fats because your energy levels are lowered from not enough glucose. Causes big reductions in insulin levels and blood sugar. Check with your physician before putting yourself on these diets or any others for that matter. Diets can be good and bad for certain people. It depends on each individual and their body type and physical condition. What you want to do is to shoot for being healthy and controlling your blood sugar. Proteins are important and can’t be produced by the body and these essential fatty acids are crucial for your survival through your diet. Your body relies on protein to repair cells in the body. It works to help with muscles, hair, skin, and nails and many other parts of your body. You actually need fat in your body because fats contain essential amino acids and without fat? Your body can’t absorb vitamins such as “A”, “D”, “E” & “K” which are necessary for that process and others too. When carbohydrates aren’t in abundance in your diet, your body can create glucose from protein. So when your diet doesn’t have the right amount of carbs, glucose can be converted by your liver releasing glycogen. Ok, everyone is different so the numbers won’t be equally the same. So the average person in America will consume about 300 grams of carbs per day. For type 2 diabetics it’s recommended to be less than 200 grams per day. 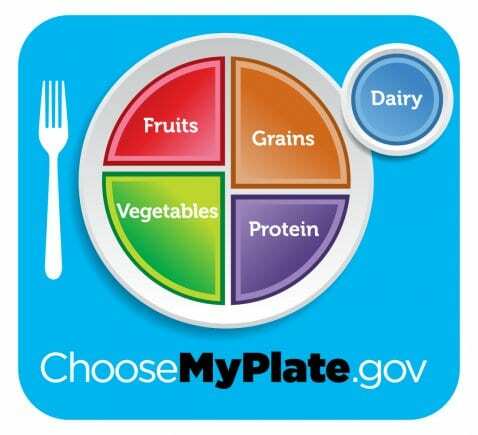 A low based to medium diet amount would be 100-200 grams daily. A low carb diet would be under 100 grams daily. And an extremely low carb diet is less than 50 grams a day. You need to balance your blood sugar levels out and you do that by eating the correct amount of carbs for YOU. You may be trying a much lower amount to shoot for and then it doesn’t work and you have to adjust the carb intake. You just have to find what number works for you in particular. It’s important to search out a long term lifestyle change and then stick to it. Going for a one or two day fix isn’t the answer. Be smart and use common sense. It’s your health on the line here. I found what works for me and you can too. You want to be in good health and that goes without saying. There are many benefits that help with diabetes other than watching your carbohydrate intake. Have your cholesterol checked. You don’t want heart disease either. Exercise is important no matter what it is. Walking is good too. You’ll worry less and have much less stress when you exercise so get moving! You’ll want to watch your weight and that helps control diabetes. Take vitamins D and B12 or make sure you get them in the food you eat. They are very crucial for your good health. You should be eating when you’re hungry and stop when you’re full. Carbohydrates and diabetes are connected because carbs are not good for diabetes. Carbohydrates can help or hurt you in your quest to defeat diabetes and high blood sugar. If you need a plan to help lowering your sugar, this works! The purpose of this article was to pass on information that I have experienced. I hope you found value here and I would appreciate your feedback and leave a comment below. Thank you! It’s been documented time and again how carbs are generally the enemy when it comes to diabetes and trying to lose weight. However, I never thought they were necessarily an “enemy,” except maybe simple carbohydrates. I just think our diets are naturally too high in carbohydrates. They’re everywhere. What are your thoughts on a no-carb diet? Is it realistic to try to eliminate all carbs? Is it even recommended? They are an enemy if you eat the too much of the simple carbs when it comes to losing weight and diabetes. I personally would not recommend a no carb diet. We do need some carbs. It’s just watching the ones we eat and the amounts. Complex carbs are good for a diabetic diet. I’m not diabetic, but I am always aware of bad carbs and avoid them as much as possible. They just lead to white fat anyway! I try to get most of my carbs from the complex carb list. I thought your post was really informative and appreciate your examples of good and bad carbs. Most people are unaware of the difference. Thank you! I’m glad that you’re not a diabetic Jackie. It’s wise to know the difference between the simple and complex carbs and I hope people choose the complex ones. Knowledge is power and the more you know about diabetes, the less chance that you make the wrong choices when it comes to healthy eating. Excellent article! I love the way you break down the differences in the types of carbohydrates and even define what a carbohydrate is. It is a shame how often folks have diabetes, and really can’t get an understandable meaning of these terms from a medical professional. You broke that barrier here. As a foodie, I thank you. My fiance is a diabetic. Much of what I have learned about the disease has been because of this. Even in researching on my own, I could never find something as straightforward and useful as what you shared here. Everyone talks about carbs all the time so we should know exactly what they are,right? I am passionate about diabetes and lowering blood sugar. There is so much to learn and to know. The more knowledge we have the better we can control and treat it. It’s important to eat complex carbs and not the simple ones. This is an amazing article for many suffer from diabetes. My mother was diagnosed with type 2 diabetes when I was a very young child and at first it was very scary but I learned how to help her out as time went on. A lot of diabetics have a poor diet plan when they need to be following a healthy diet plan. Thank you again for this helpful article. You’re welcome! We don’t realize how important our diet is when we’re younger and then when things change, we have to adapt our diets to control our carbs and blood sugars. Eating healthy again is a start. It’s a wise idea to teach kids today how to eat healthy and then they hopefully will not experience diabetes. Very informative. As someone who eats healthy on a regular basis I think it’s great the way you broke down good carbs and bad carbs, This is important to know and I believe many people do not understand how carbs turn into sugar. I like how you mentioned that you need to eat the right amount of carbs that works for you. Everyone is different. Great point.